Though she be but little....House beautiful! This extensively renovated period Farmhouse is a shining example of meticulous updates and maintenance. 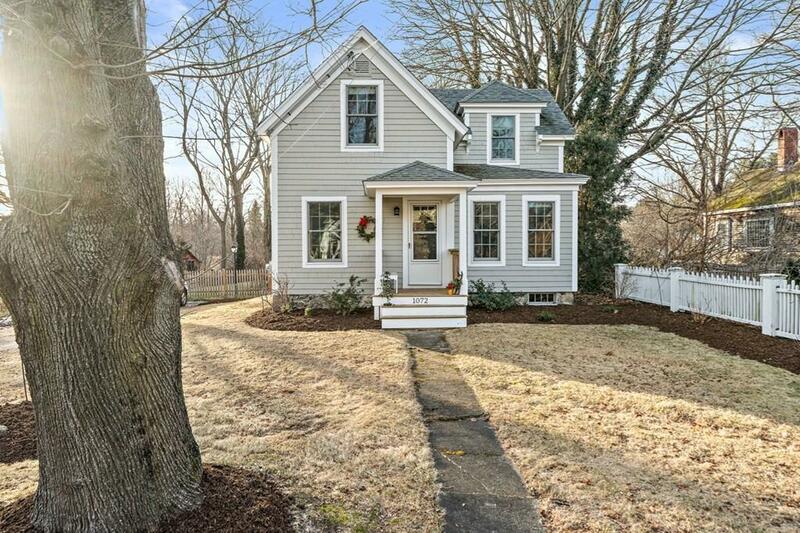 A recently rebuilt farmers porch invites you to enter this home through the newly updated kitchen. The antique floors lend warmth and seamless integration of the original house with today's updates. The kitchen with its custom cabinetry, granite countertop & stainless appliances open into the family room. Leading up to the second floor, you have three appropriately proportioned bedrooms each with its unique style. The house was made energy efficient with a new FHW high gas heating system & hot water storage, the rooms were gutted, rewired and insulated with foam insulation. Bonus to the home is the barn with tremendous storage for all of your outdoor gear.